One in ten of us are affected by dyslexia. 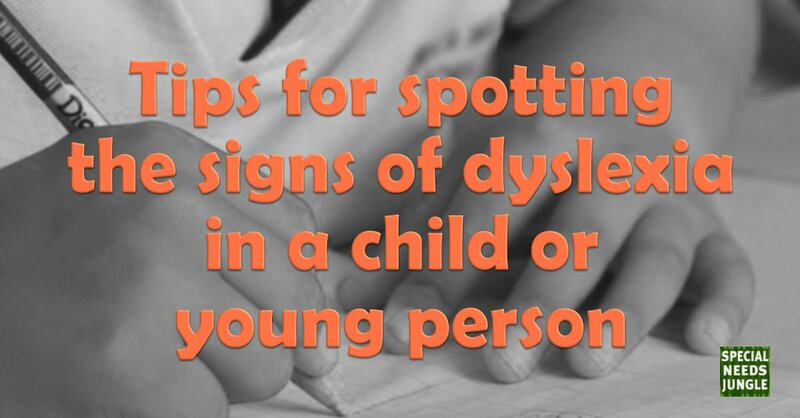 While many schools have got much better at spotting a potentially dyslexic student, there are still some in education who, believe it or not, continue to deny it's existence which can have serious implications for those they teach. When undiagnosed, and without the appropriate support, young people can leave school with no qualifications, low self-esteem and a worrying feeling of what will come next for them. "Ten percent (10%) of the population is dyslexic; 4% severely so. Dyslexia is identified as a disability as defined in the Equality Act 2010. Many of the dyslexic people across the UK, whether adults or children are unable to fulfil their potential as a large percentage of the population still do not understand what dyslexia is, the difficulties which the condition presents and do not know how best to support them. Dyslexia is not an obvious difficulty; it is hidden. As a result, dyslexic people have to overcome numerous barriers to make a full contribution to society. (source: BDA)"
Dyslexia is a specific learning difficulty, and we also know that dyslexia can be associated alongside other specific learning difficulties. These are called co-occurring difficulties, and they include things like dyspraxia. I am aware that many adults are now receiving a diagnosis of dyslexia and I received mine this year and my learning issues were always associated with my behaviour nobody decided to investigate further.. Dyslexia occurs in people of all races, gender, backgrounds and abilities, and varies from person to person. We know that many famous people acknowledge and accept they are dyslexic, such as Richard Branson, Whoopi Goldberg and Steve Jobs. They are struggling with spelling, writing or reading and or numeracy. They are not progressing as quickly as his/her peers or not progressing at all. Their speed of processing, whether spoken and or written language, is slow. They may have poor concentration and difficulty following instructions. They may be forgetful of words. If the child or young person (or not so young person!) experiences visual confusions (the print seems to blur, move around or go double, their eyes or headaches) when attempting to read, you should see whether coloured filters can help. You can also read more about this in our post, "When the words move by themselves – it could be Visual Stress"
It is important to remember that not all children have the same cluster of abilities or difficulties. If you suspect your child or adolescent has dyslexia, you should first speak to the class teacher or SENCo if your child is at school, or learning support department if they are at college. Discuss your concerns and any interventions that may have been already tried before whether at home or previously in education. If the young person is already attending university, you should advise them to speak to the university Disability and Dyslexia Department who will be able to help. They can also apply for an assessment for support from the Disabled Student Allowance, which can provide software and recording devices to help with lectures. Read our post, Going to Uni: The Disabled Students Allowance assessment. Screening tests indicate possible dyslexic difficulties. They are sometimes administered by a teacher and can be paper-based or computerised. They are not a diagnosis and are not 100% accurate. There is also the GAPS test. Specialist Teacher/Assessor with an Assessment Practising Certificate. After your child has been assessed, you (or they, if they are over 18) will receive a report that outlines the outcome of each test completed. The report will also contain recommendations of what support is required to assist your child to make progress in the areas where they are having difficulties. Discuss the assessment report with your child’s teacher and or SENCo or if at uni, they will discuss it with the DDS department. For a child at school or in further education, the class teacher or SENCo/Learning Support must make reasonable adjustments to the classroom to enable your child to learn inclusively and meaningfully, alongside his or her peers. They may be given the use of a computer system with word processing and general support software/assistive apps to reduce the emphasis on literacy skills. The facility to use a recording device (where appropriate) for use in class and similar learning situations so that all relevant work is on record for later use. Such a device could also be used to aid memory generally. The class teacher will also provide differentiated learning activities. This list is not exhaustive, but it is an indication of what can be provided. Help your child to become their own best advocate by developing resiliency, confidence, and self-awareness, and focusing on achievable goals in areas that matter most to him/her. SNJ: My daughter has dyslexia, can I apply for an EHCP? Do you need a diagnosis of dyslexia? “They are struggling with spelling, writing or reading and or numeracy. Isn’t struggling with numeracy dyscalculia, not dyslexia? Also the visual confusions are probably Meares Irlen Syndrome (scotopic sensitivity), which can be co-morbid to ASD. People ought to also bear in mind, that processing issues, concentration issues, auditory confusion, forgetfulness and low self-esteem might be due to ASD, ADHD, ADD or mental ill-health and not dyslexia.